If you need to know how to get rid of a timeshare, read on to find a step by step guide to unloading a timeshare that you no longer want. Whether you want to try to sell, donate, or cancel your timeshare, having the right game plan is imperative to get rid of your timeshare successfully. In the glow of a vacation moment, buying a timeshare sounded like a fantastic idea. That way you can come back year after year and relive this glorious vacation. For a few years, you did, and you loved your timeshare. It seemed like a wonderful investment in your happiness. However, things change, and you may find that you no longer want your timeshare. When a timeshare is no longer a viable investment, you may find yourself wondering how to get rid of a timeshare. Once you begin researching this process, you may conclude that getting rid of an unwanted timeshare is much more complicated than purchasing it was. Your first thought might be to sell your timeshare. To determine if a timeshare sale is a good idea, you need to consider a few different factors. Is your timeshare marketable? This is based on the location of your timeshare. A timeshare at a resort in Hawaii is going to be easier to sell than one that is located in Ohio or even Scottsdale. How much is your timeshare worth? Often a timeshare will sit unsold because the seller values it too highly. Most timeshares sell for a fraction of the original cost. While it is true that desirable locations can sell for upwards of $100,000, most timeshares sell for about $3,000 to $7,000. If you bought your timeshare for upwards of $30,000, be prepared to lose a significant amount of money. In fact, you may still owe the resort money once you have sold your timeshare. Talk with a real estate agent. This will give you an idea of how to aggressively market your timeshare and what types of fees you can expect to have to pay. If after talking to a real estate agent and critically examining your timeshare you have decided that a timeshare sale is not the answer to how to get rid of a timeshare, you have other options. One would be to try to rent your timeshare. The rental market is a bit more robust than the retail market. However, keep in mind that for some resorts and timeshares, there is simply no demand so they may be difficult to rent. You can also default on your timeshare contract. While this is far from ideal, it is an option. However, if you do so, expect there to be consequences. An unpaid timeshare will go into foreclosure and negatively impact your credit score. It can seriously jeopardize your chances to obtain future financing and credit opportunities. If none of these options sound appealing, you may want to look into timeshare cancellation. 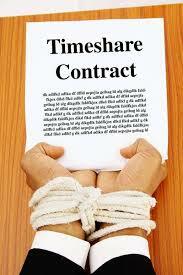 When you call the timeshare company, they will tell you that it is not possible to cancel a timeshare contract. This is a myth. A timeshare cancellation can be difficult, but it is entirely possible. 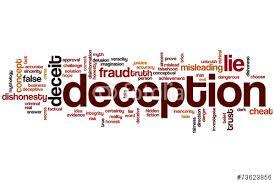 Here at Timeshare Cancel Center, we have a dedicated timeshare exit team that specializes in timeshare cancellation. We can get rid of your timeshare without negatively impacting your credit score or sending the timeshare into foreclosure. We can get you the timeshare cancellation that you need even if you are outside of your rescission period. Call us for a complimentary timeshare exit team cost analysis. We will review your timeshare contract to determine the best next steps and create an action plan to get rid of your timeshare. You will have all the information about our fees upfront so you can decide what you want to do. We are committed to our customers and ethical business practices. We are not a timeshare resale scam, we are the real deal. We will get you the timeshare cancellation that you need. Stop paying high monthly payments and increasing annual maintenance fees. Call us today to get rid of your unwanted timeshare and get your vacation back! We are here for you twenty-four hours a day, seven days a week, three hundred and sixty-five days a year.